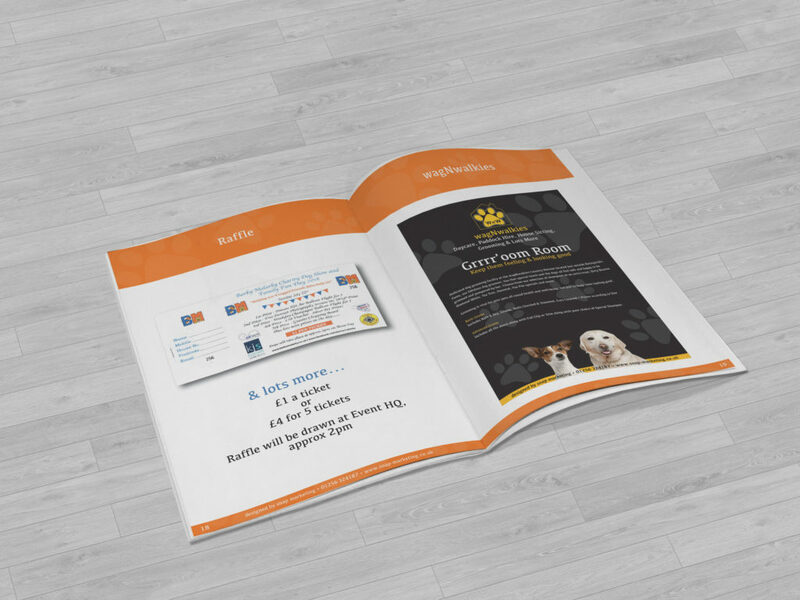 The client provided snap with a word created 24 page booklet, which was required for a local dog show. 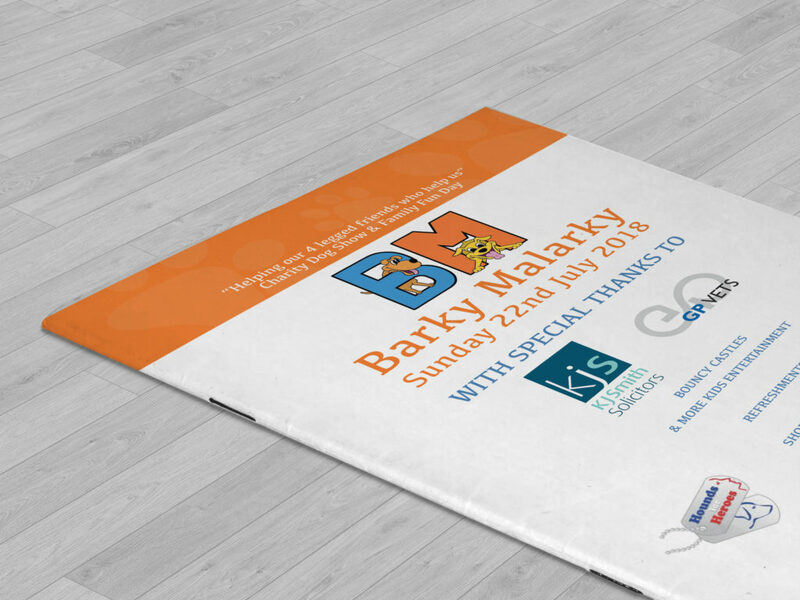 Barky Malarky required the booklet to be re-designed print ready with high resolution images, laid out with 3mm bleed and crop marks print ready. Snap re-styled the pages in indesign to give it some kind of order and theme, with a few re-designs and creation of adverts and logos in order to pull the booklet together - Snap delivered 1000 printed saddle stiched booklets ready for the event.